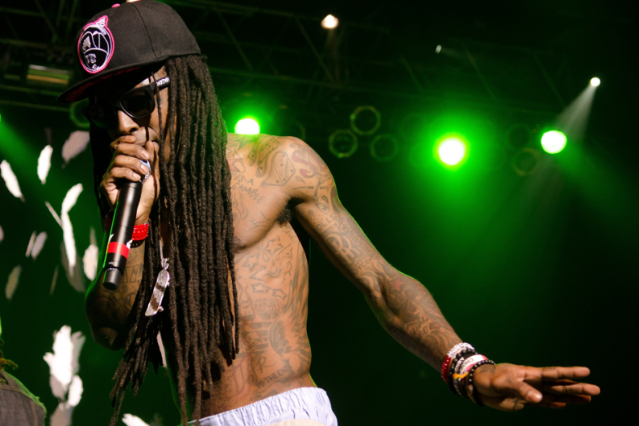 Last summer, Lil Wayne got sued about a million times (give or take a few) for everything from so-called copyright infringement to allegedly withholding royalties to folks who had worked on his albums. Since then, his legal team has been hustling to address each claim. His label recently paid EMI overdue royalties after receiving a little legal nudge, and now Lil Wayne and Cash Money have settled up with another of Tha Carter III’s many contributors, producer Deezle, a.k.a. Darius Harrison. Harrison, a fellow New Orleans native, filed a $20 million suit in March of last year against the label for his work on the Grammy-winning track “Lollipop,” among others on the record, claiming he was never paid. The song, awarded Best Rap Song at the 2009 Grammys, helped Weezy sell 3.6 million copies of the album, grossing what Harrison’s suit estimates at $70 million. When the lawsuit was first filed last year, Wayne and Cash Money were busy prepping for the release of Tha Carter IV and initially claimed that Harrison had no grounds for his suit, but according to TMZ, they just settled with Deezle behind closed doors under confidential terms (presumably not for $20 million), and the case has been dismissed. For what it’s worth, Harrison shares co-production credits on “Lollipop” with Jim Jonsin, whose discography is decidedly more hit-filled (he’s got Grammy nominations for work on records by Eminem and Beyoncé and has been named on multiple Producer of the Year rankings by Billboard) than Deezle’s.